Brass Knuckles, Poor Folks, and Contradictions | Robert Mitchell Jr.
I’ve talked about brass knuckles before, and my fascination with them. I realize that this is a contradiction, coming from a person who considers himself a very spiritual person, a mystic in fact, and that the mere mention of knuckle dusters confuses and upsets some of you. Well, it shouldn’t. 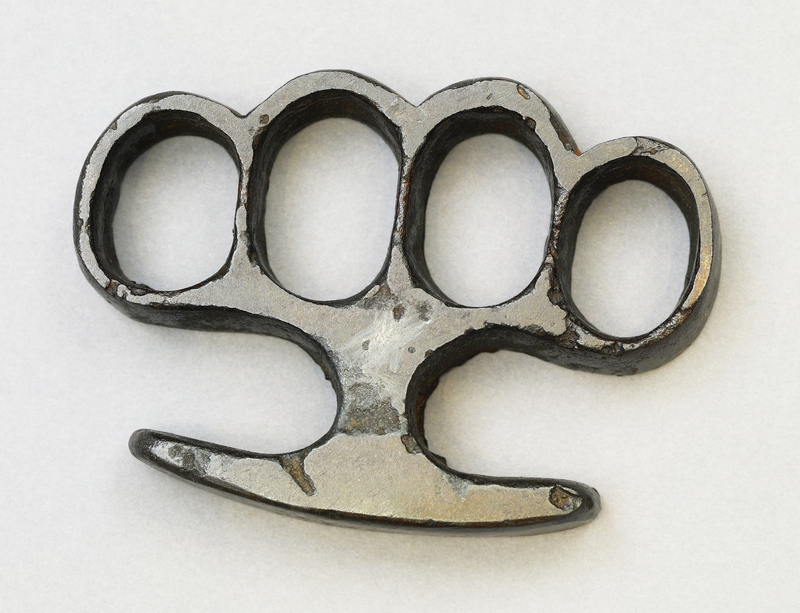 Brass knuckles were far more prevalent and respectable in days gone by. The knuckles above were issued to NY Police, the ones at the right were carried by Lincoln’s protection detail, and my set (see below) are replicas of ones used to fight Nazis. 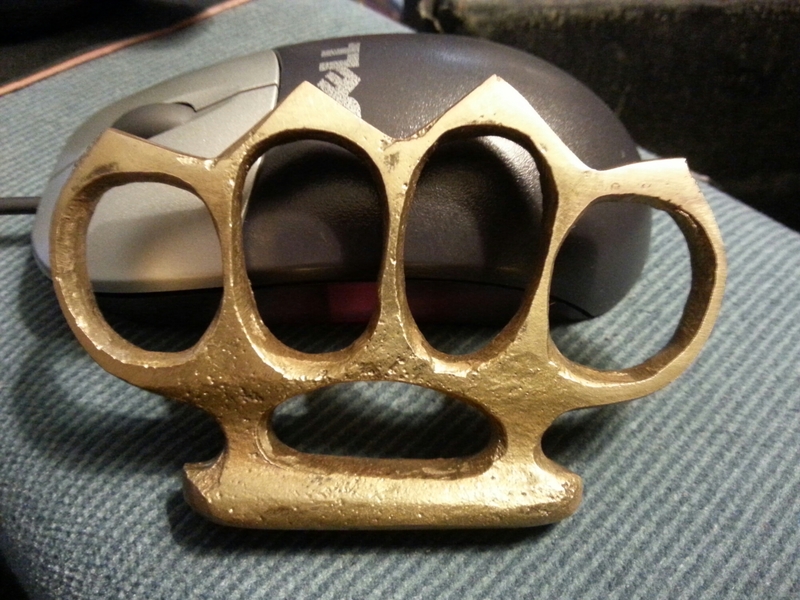 My brass knuckles (replica of those used by British Special Forces to smash Nazis in World War II). I think it might have something to do with the fact that they’re cheap. As we know, the deck is always stacked against the poor. In order to get a permit to conceal carry a gun, you have to be able to afford a gun, a gun safety class and the fees. You can’t have a criminal record, you must be able to read and write well enough to navigate the paperwork and red tape, and you have to get off work to go to before the judge. Poor folks — who have less money and are disproportionally arrested — are less likely to be able to afford or get approved for concealed carry. Or maybe knuckles of brass and steel are illegal because they got surpassed in the arms race. When the cops and the military got better weapons and didn’t need them any longer, it became obvious that we should stigmatize and ban them. I guess switchblades are the exception — did you know that they are still legal for law enforcement to own and carry? Why is that do you think? Because people in uniform are somehow magically more trustworthy than the average citizen? Yes, I am a spiritual man. But I also believe in the underdog, detest bullies, and think that all people are equal regardless of race, creed, or income. But most importantly, I believe that peaceful people, spiritual people, folks who care about nature, the environment, their neighbors, and minding their own business, should not be an endangered species. That’s why I practice and teach martial arts. I don’t like guns. But I do like brass knuckles. This entry was posted in Martial arts and tagged brass knuckles, knuckledusters, police, poor, switchblade, wwII. Bookmark the permalink.